Give your computer-printed projects a new dimension. 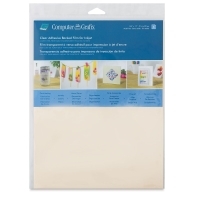 These blank transparent sheets can be easily run through laser/copier or inkjet printers with sharp and vibrant results. Layer images seamlessly, overlay text, create clear pockets, stickers, or printed windows. 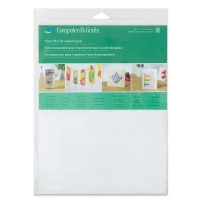 Grafix Computer Film is perfect for a wide variety of craft, scrapbooking, and paper projects. Artists and designers are always looking for new and innovative ways to enhance their artwork. With the growing popularity of using non-traditional art materials and digital art, computers are now used as an artist's tool. 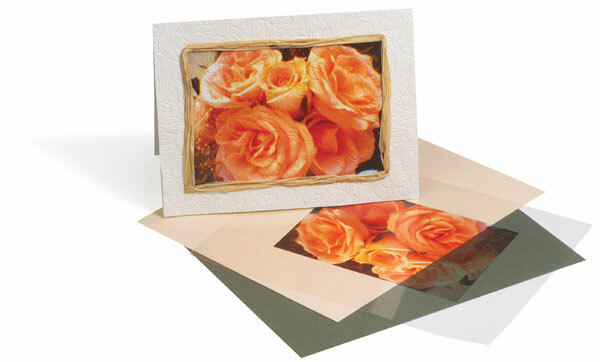 Grafix offers a line of printable, acid-free films so you don't have to be limited by pre-designed products.